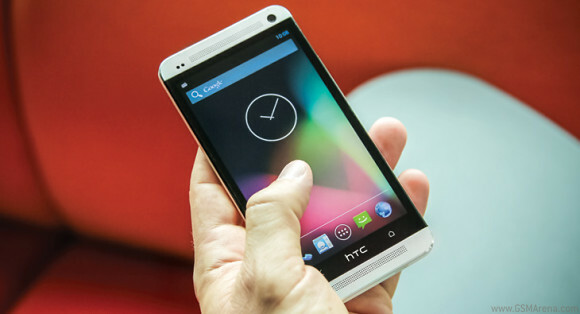 At the D11 conference Android's SVP officially announced the HTC One Nexus experience device, which is an HTC One with stock Android 4.2.2 at the helm. The device will have 32GB of internal storage and will be available on June 26 through the Google Play store (in the US only) for $599. That's 50 bucks cheaper than the Google Edition of the Samsung Galaxy S4, which will also be selling starting June 26. The new smartphone will sport an unlocked bootloader and receive Android updates directly from Google. It has the same hardware as the regular HTC One, including the Snapdragon 600 chipset with four Krait 300 cores clocked at 1.7 GHz. It will only be available in Silver color initially. Its nice if HTC One can produce a 16/32Mb Mini version with 4.0/4.3" screen size with stock Android 4.2.2 Dual Core Krait Clocked at 1.7/1.9Ghz with 1/1.5/2G of RAM.